here's an article for you to read. A primary goal of ACEing Autism is to improve motor function since up to 90 percent of children with ASD demonstrate motor impairments. These include deficits in gross and fine motor skills, coordination, gait, and planning of complex motor behaviors (see Jeste, 2011). Motor function is critical for language development, social learning and overall cognitive ability. Unfortunately, because motor problems are not part of the diagnostic criteria of ASD, most services and treatments do not target them. By targeting motor deficits, we work to improve language and social skills, along with learning, in children with these disorders. It does NOT get any cuter! We're raising money to help special kids have a chance to play tennis. With coaches that know their needs and kids ready to try anything once...this will be a summer camp with amazing outcomes! 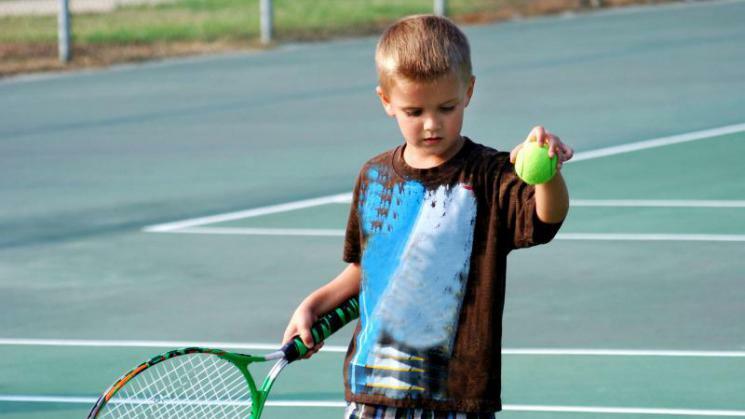 Help US help special kids play tennis. Funds raised will go towards equipment and staff for the camp.